Boston Mobile Sandblasting will take care of all your blasting needs! 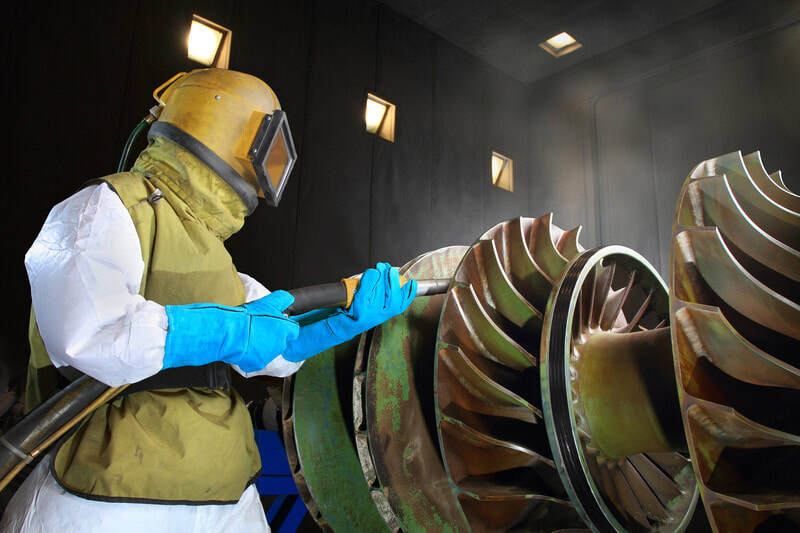 Sandblasting, also known as grit blasting, is a treatment process used in many different types of industries and has many different purposes. sandblasting is when an abrasive media is sent through a blasting nozzle using compressed air. Preparation of surfaces for things like bonding and painting. Removal of scale, rust, sand, or paint from fabricated components. Providing a cosmetic matte surface finish on consumer products. The type of media that is going to be used is a very important decision when engineering the blasting process. Each type of media has its own density, hardness and shape which will produce varying results. ​A lot of the time it is necessary for a sample spot to be done to be able to figure out exactly which type of media, and which size of media will be best for the job. The type of equipment that is used to do sandblasting can vary from industry to industry or project to project. There are hand cabinets, robotic systems and dedicated automatic high production models. ​The type of machine that is chosen depends on the end use of the component as well as the surface treatment that will be applied. In the past sandblasting was considered a very low technology process. This is changing however, because of the advances in technology and the importance of sandblasting for projects such as removing rust, preparing surfaces for different types of coatings and to treat products to give them a specific type of finish and surface texture. 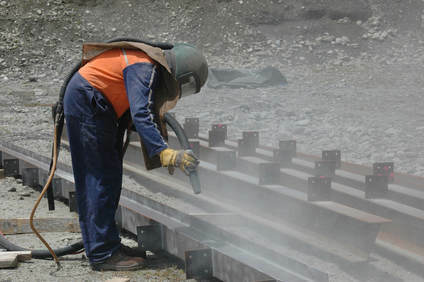 ​Sandblasting is also becoming very popular because of the benefits to the environment. As global warming becomes more of an issue people are looking for ways to do the same kind of jobs they have in the past, but in a much more environmentally friendly way. ​This is why sandblasting is perfect. It allows the use of a variety of media, some of which are completely natural like corn cob and walnut shells, to do the same work that only chemicals used to be used for (such as removing paint). Being able to lower your carbon footprint, especially as a business, is something that more and more customers are looking for in the businesses that they hire. Do you need all the paint stripped from the classic car that has been sitting in your garage, waiting for you to start restoring it? Perhaps you want to surprise your child with a new paint job on their bicycle. ​Regardless of what you need paint removed from, sandblasting and dustless blasting are what you need to get the job done quickly and correctly. When you choose the right sandblasting and dry blasting company in Charlestown, Boston you will get efficient results that save you a ton of money, time and worry. Having graffiti removed is unfortunately a very common need for cities, municipalities, businesses and occasionally homes. Stone surfaces, asphalt, brick and concrete sidewalks are often the most commonly graffitied surfaces, thankfully there is a wide range of blasting techniques that will work very well on all these different types of hard surfaces. When you hire a professional, you guarantee that the substrate (which is the area that the graffiti has been drawn on) will not get harmed in the removal of the graffiti. This is where dustless blasting comes in very handy. Dustless blasting machines can be adjusted very easily so that it can work on a variety of surfaces like brick, wood concrete and more. 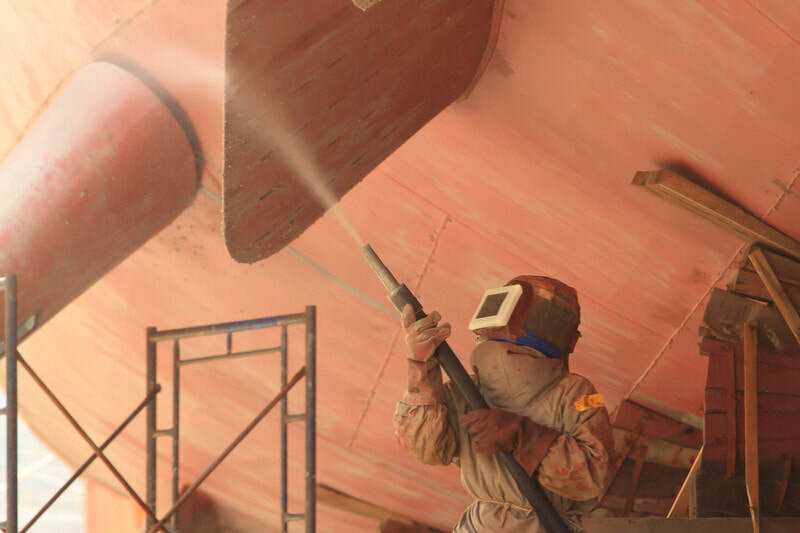 By eliminating all the dust that can occur from regular sandblasting, dustless blasting can be done safely in many types of environments, even urban ones where there might be animals or people present. Some people think that it is just easier to paint over graffiti than it is to hire someone to come out and sand blast it off. This is often a bad idea because it just creates a billboard type effect. If some young kids are riding down the street looking for a place to draw, which do you think they are more likely to choose; a brick wall with nothing on it, or a brick wall with a large gray patch painted on it? The majority of the time, it will be the area where the large gray patch is. Another great way that sandblasting and dustless blasting are used is in fire damage restoration. There are various types of media that can be used to get rid of soot, charring and odor that come along with fire damage. 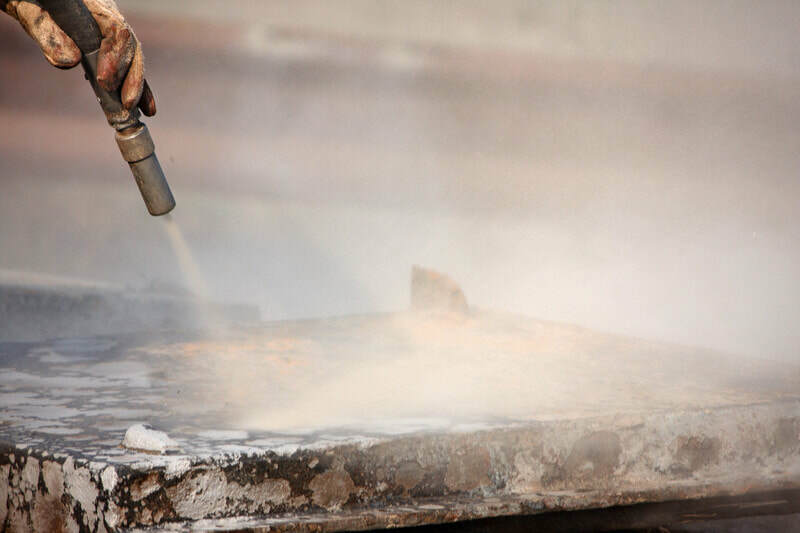 ​When hiring a professional sandblaster you can make sure that the charred or burnt surfaces are efficiently removed which can help minimize damage to the structure underneath what has been damage, such as PVC, wiring, and duct work.